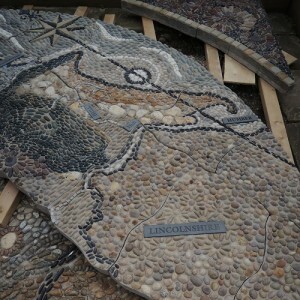 A section of the completed mosaic map. 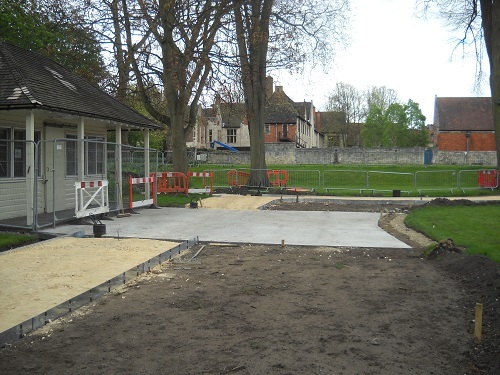 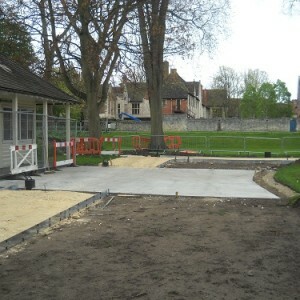 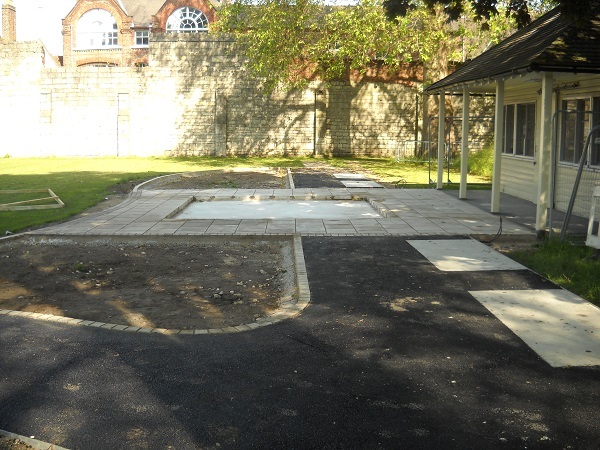 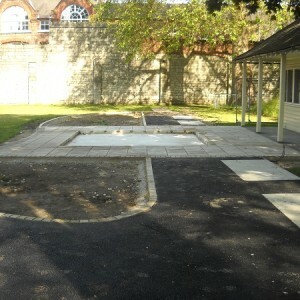 The site being prepared for the new mosaic map. 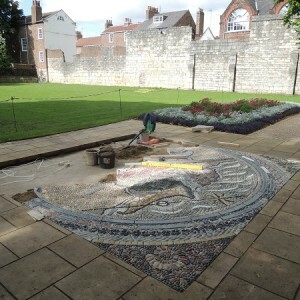 The site being prepared for the new mosaic map. 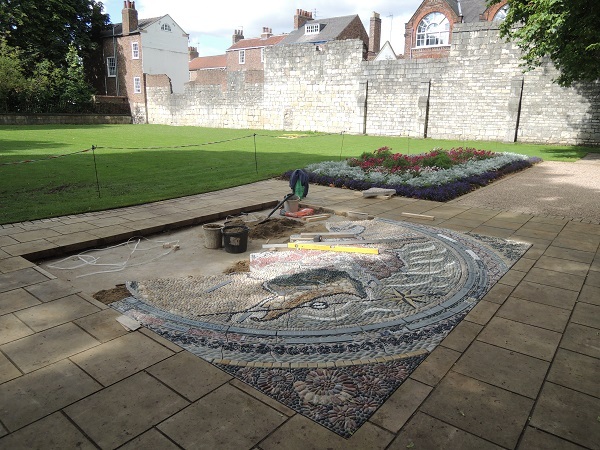 The mosaic map is carefully laid in place. 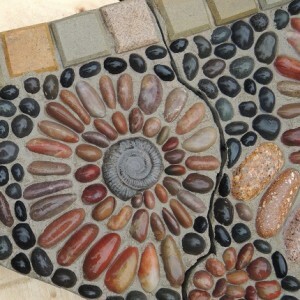 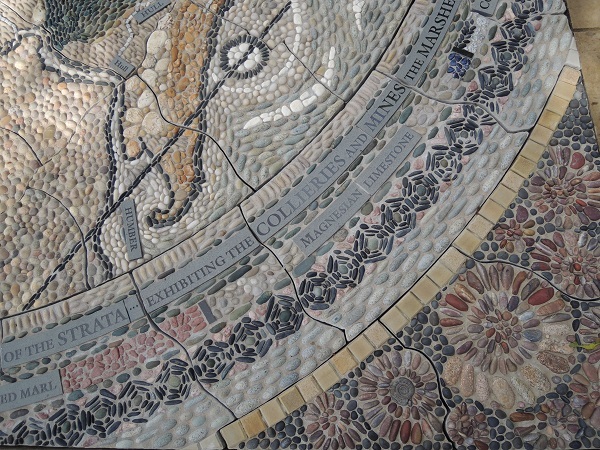 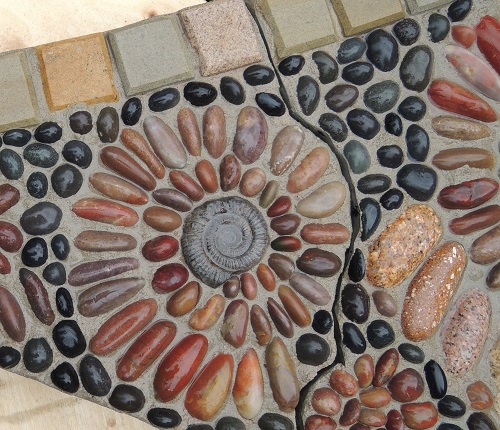 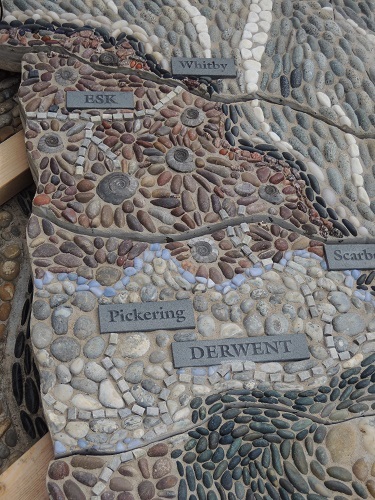 A close-up of the colourful stones in the mosaic map. 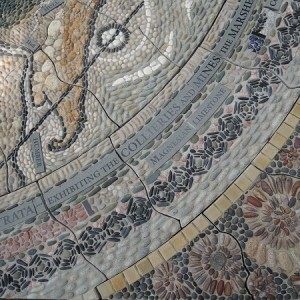 The mosaic was made by hand in sections. 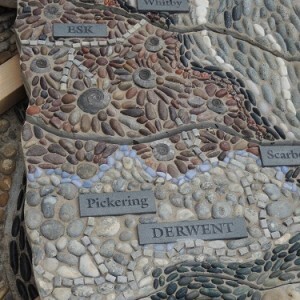 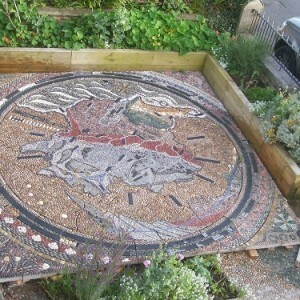 Another section of the mosaic map is finished. 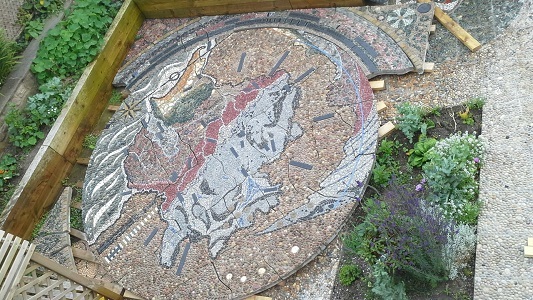 The mosaic map nearing completion. 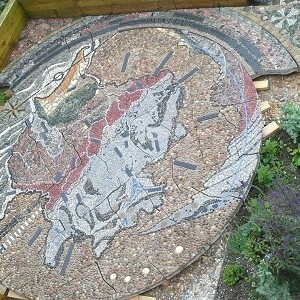 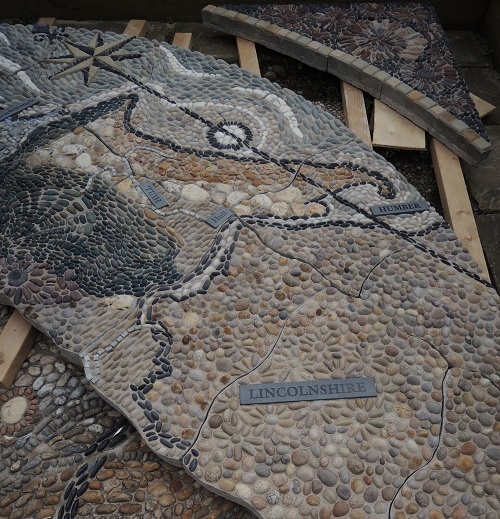 The completed mosaic map ready for installation. 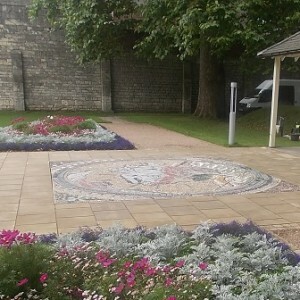 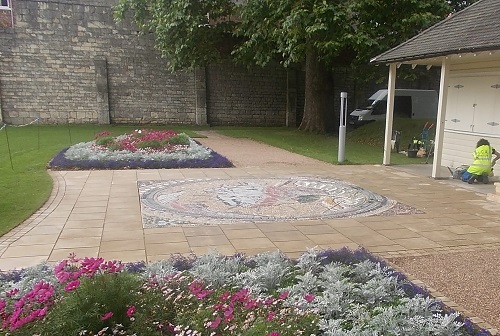 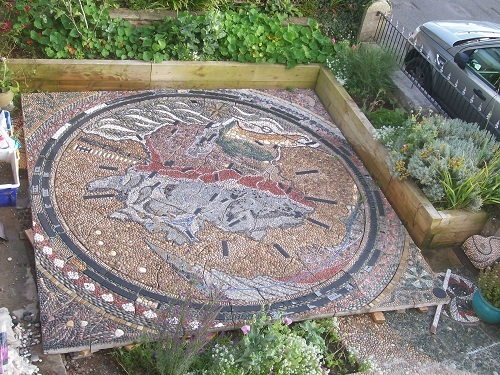 The finished mosaic map, installed in 2015. 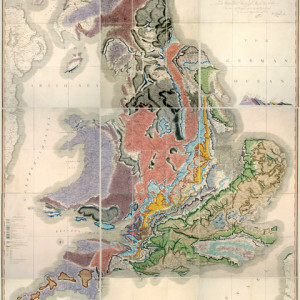 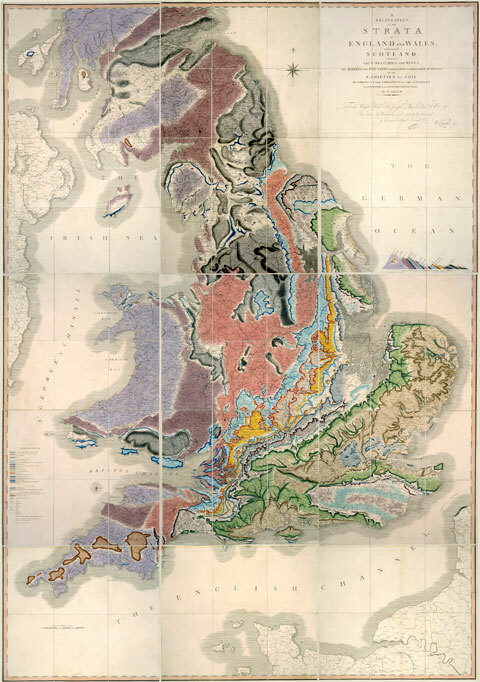 The original geological map created by William Smith, 1815.